Mondo sport flooring is internationally accepted as the standard in indoor sports flooring. Since 1976 Mondo has been a supplier to the Olympic Games. Mondo sport flooring is third party certified as having a reduced impact on the environment and as being safe for sensitive users. Mondoflex is a rubber flooring product which is ideal for use in gymnasiums, health clubs and other sporting venues. 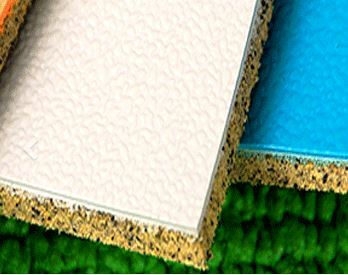 Two varieties of Mondoflex are available to further enable you to choose the surface best suited to your project. MONDOFLEX I is a 3mm thick non-slip rubber flooring solution that is ideal for use in indoor multi-sport facilities. Mondoflex I is a natural / synthetic rubber sport flooring which is made up of a smooth, slip resistant surface vulcanised onto a load-bearing subfloor. Widely accepted as the standard for indoor sports flooring internationally, Mondoflex is safe and comfortable for athletes. It is also hard-wearing, long-lasting and easy to clean. Safe and resilient: Non-slip rubber and high point-load resistance make Mondoflex perfect for multi-purpose facilities. Long lasting: The intense hardening process of the rubber ensures sports floors will last longer. Mondoflex I can be supplied as a rolled rubber gym flooring to eliminate need for welded joints. Low maintenance: Upper layer is easy to clean, and does not require special Waxes or Coatings. Hygienic Product: The non-porous surface is water resistant, so bacteria never gets a foothold. Large Colour Range: 10 colours to choose from. Environmentally friendly: Made of synthetic, natural and factory-recycled rubber, & complies with VOC emission guidelines and is Greenguard Gold certified. MONDOFLEX II is a 7.5mm thick non-slip rubber flooring solution that is ideal for use in high impact indoor sporting facilities. 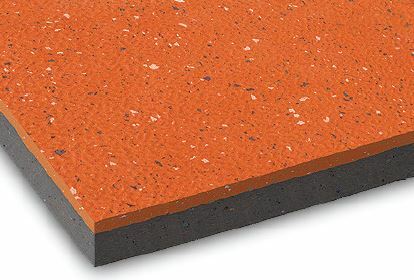 Made from natural and synthetic rubber, with an elastic foam underlay, Mondoflex II sports flooring provides superior shock absorbency and ensures a safe and comfortable experience for users. Safe and Resilient: Non-slip rubber and high point-load resistance make Mondoflex II perfect for multi-purpose facilities. Long Life: The superior hardening process of the rubber ensures sports floors will last longer. Available as a rolled rubber gym flooring to eliminate need for welded joints. Low maintenance: The solid rubber upper layer is easy to clean, with no special waxes or coatings required. Hygienic : The non-porous surface is water resistant, so bacteria never gets a foothold. Large Design Range: 10 colours to choose from, including tone-on-tone marble and wood grain effects. MONDOSPORT I is a pressed homogenous vinyl flooring with an embossed and slip resistant surface. The flooring has a transparent polyurethane finish which creates an easy to clean floor covering. MONDOSPORT II I vinyl sport floor is suitable for new construction and refurbishment of multipurpose environments. 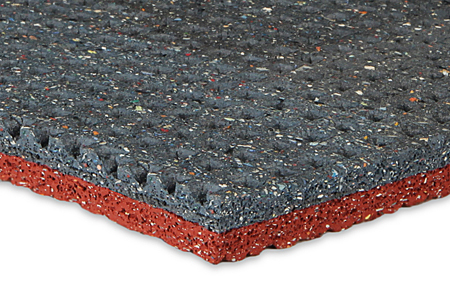 Mondosport II has a polyurethane foam underlay. The density and hardness of the underlay is modulated to provide certain levels of impact and energy absorption. Its surface properties ensure good ball bounce. Sport Impact is manufactured from natural/synthetic vulcanized rubber. The flooring consists of a homogeneous base which contains particles of identical formation, vulcanized onto a load-bearing subfloor. The high quality of this product has lead to it being installed at many Olympic Games. Due to the non-porous embossed surface, Sport Impact is easy to clean and maintain. 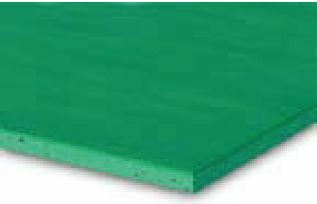 Sportflex is a manufactured sport floor with a unique closed-cell structure which is made from synthetic rubbers and mineral additives. The surface is embossed, resulting in a vulcanised, slip resistant and anti-glare floor covering. Sportflex is designed to meet the needs of various external or internal sports and public activities. *Please consult Novaproducts Global before specifying of product in areas where spike shoes may be worn. 12 flecked colours to choose from. Hygienic – Non-porous surface is water resistant therefore bacteria never gets a foothold.